Nursing graduation party supplies can be practical or humorous depending upon the mood and, of course, hosts of the party. While some people choose the traditional route when ordering party supplies to celebrate the culmination of nursing school, others get a bit more creative in their decorations, party favors, centerpieces and other supplies. 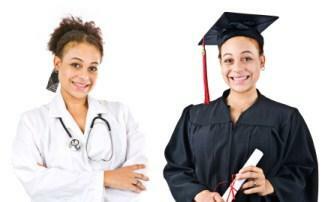 Check out the following ideas before you plan your nursing graduation celebration! Nursing school is a rigorous program, and a student's graduation should certainly be celebrated with friends and family members. Whether you are the graduate or you are hosting a party for someone else, choosing the perfect party supplies will help you create a wonderful party that everyone will enjoy. The following decorations and favors may be found at party supply stores, such as Party City, M&N Party Store, and Party City. In addition, many of the decoration and favor ideas can be created using common items. Purchase balloons with smiley faces wearing nursing caps. Fill the balloons with helium, and tie them to the backs of chairs. Purchase nurse rubber ducks, and arrange them in groups along tables and around the bottom of a cake. Give mini first aid kits as party favors to all of the nursing graduates. Print out snack labels so that they read like a prescription. For example: Cheetos: "Taken for nourishment." Directions: "Eat by handfuls two times a day until fingers turn orange." Fill surgical gloves with helium, and tie them into balloon bouquets. Tie on the backs of chairs or tie to first aid kits to use as table centerpieces. Use disposable hospital drapes for table coverings. Hand out paper nursing caps to all the guests, and instruct them to wear them during the party. Fill urinals (New and clean of course!) with nuts and small candies, and place these on the food table. Use ace bandages in a variety of colors like crepe paper to hang around the room. Hand out toy stethoscopes to each of the graduates as party favors. Require the guest of honor to wear a complete scrubs outfit, including nursing booties and nursing head covering. Hang a real or play stethoscope around his or her neck. Remedies: laughing, sleeping, partying with friends and family, etc. Write the invitation on cardstock shaped like a nursing cap. Visit your local bakery and talk to the baker about the possibility of designing a cake that looks like a hospital, operating table, IV bag or nurse's cap. In addition, hang IV bags filled with clear sodas over the food table, and clamp off the IV line, so that guests can remove it to fill their cups with soda. Invert paper nurses caps and fill them with individually wrapped candies. In addition to the above party decoration suggestions, you can purchase generic party supplies that are used for just about any graduation. Again, look for these at sites like Oriental Trading Company. A nursing school graduation is certainly a time to celebrate, so get creative with your decorating ideas and look for supplies that will really play up the nursing theme for your party.